Place ribs standing upright in crock pot. Pour in sherry and water. Sprinkle with Worcestershire sauce and salt and pepper. 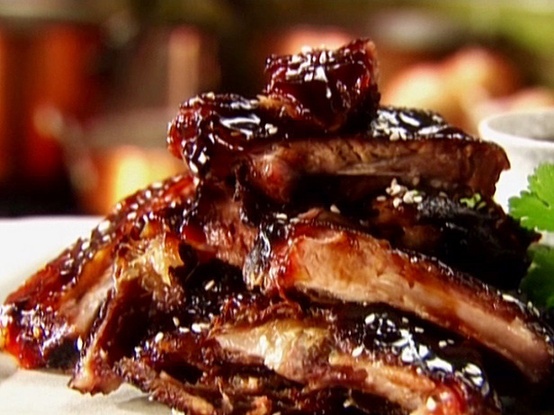 Pour barbecue sauce over ribs. Cook on low approximately 8 hours. Serve with additional barbecue sauce for dipping.